I smell hard carry and even harder enemy incompetence here. GZ! too bad the replay was from your platoonmates point of view. Good job anyway, those enemies were pitiful. btw how much did you do damage in that game? Such beautiful teamwork with your mate in JPII. 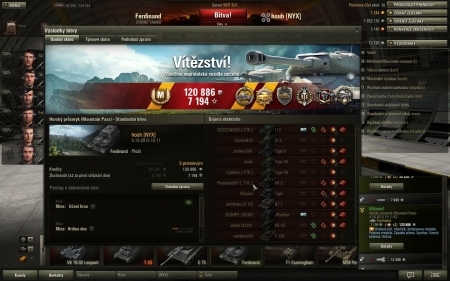 no prem ammo is required by ferdi in a tier 8, hell you don't even need it against tier 9s. As an JPII driver, I can confirm that fact. Heck, even most t10s fear our guns. that-truly-is-impressive. 9500 dmg with t8 tank is something you dont see everyday! Only real guru do that without gold ammo. Congratulations!